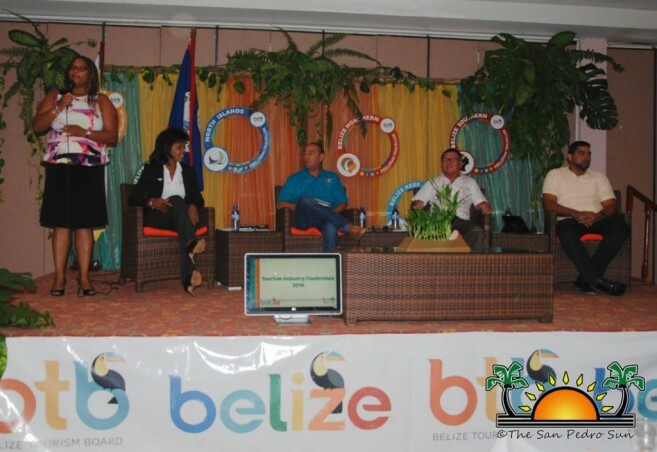 The Belize Tourism Board (BTB) held its annual “Tourism Industry Conference” in Belize City on Saturday, October 22nd. 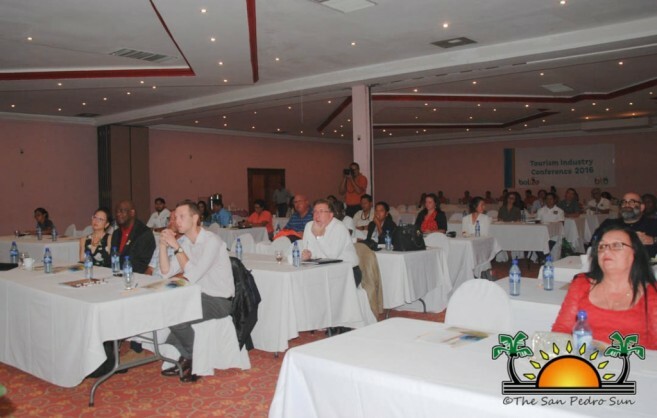 At the Ramada Princess Hotel, stakeholders, industry partners, and media members were given the latest insights on the tourism sector, as well as valuable information on how to enhance their marketing skills. Karen Pike, Director of Marketing and Industry Relations served as the Mistress of Ceremonies. After the National Anthem was sung by Stacey Kelly of BTB, Wendy Castillo Swan of BTB proceeded with an invocation. The welcome address was formally given by Minister of Tourism, Culture and Civil Aviation Honorable Manuel Heredia Jr. He recapped the growth of the BTB and Ministry of Tourism in 2016, and stated that he is more than positive that tourism will continue to dominate in Belize. Before part-one of the panel discussion, BTB presented their “Year in Review” video. The video was comprised of many accomplished projects and works of the board throughout 2015. The video showed that Belize’s overnight visitors increased by 6% (19,900) when compared to figures of 2014. In December of 2015, the continued growth of Belize’s overnight visitors led to an increase in licensed accommodations, with a total of 850 compared to December 2014, which had 805 licensed accommodations. The first part of the panel of discussion focused on “How to Market Yourself and See a Return on Your Investment”. 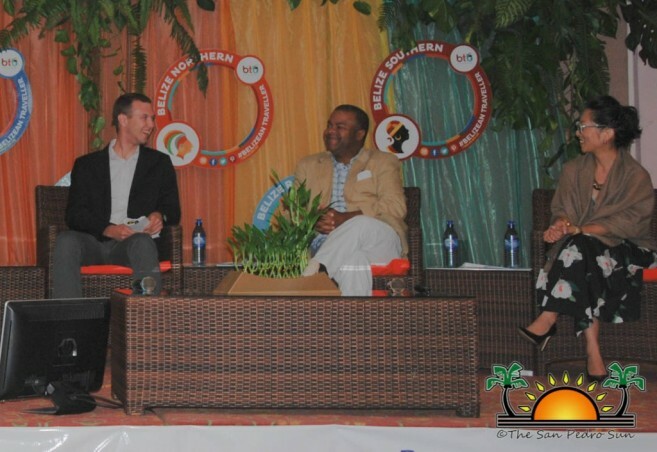 The panel was led by Moderator and Marketing Manager of San Ignacio Hotel Resort Trinity Castro, Connections Strategist of Olson James Lager, Executive Director of Afar Media Barry Brown, and Vice-President of Industry Relations of JG Black Book of Travel Maureen Kim. Lager directed his speech on marketing opportunities that matter. With such a competitive market, he advised the audience on how to best use their marketing dollars to get a maximum return in investment. Since opportunities in marketing are endless, he also gave tools to define a criteria selection to deem value. Brown discussed how to market your brand and deliver return on investment, sharing insights on how to talk and engage consumers. Last to speak was Kim, who focused on marketing and travel trade. According to her, over $146 trillion dollars are invested annually on travel alone. Since Belize has its own distinct cultural makeup, Kim shared strategies on how to uniquely market Belize. A two-part panel took place in the second discussion, and the first part focused on “In this competitive market, are you prepared?” Moderator and General Manager of the Belize Biltmore Plaza Hotel Ted Tejada, introduced the three panelists: Communications Specialist of Caribbean Tourism Organization Johnson JohnRose, Managing Director/Owner of Chamberlain Consulting Dionne Chamberlain Miranda Ph.D, and Executive Chairman of Brighter Group Stephen Dunne. In this segment, JohnRose spoke on being prepared in a competitive market. Chamberlain discussed the importance of utilizing digital platforms such as Facebook, Twitter, Instagram, Snapchat, Google, Tumblr and Pinterest. In Dunne’s discussion, he emphasized why it was beneficial to tap into the European Market. To end the conference, the last panel focused on “The Way Forward” for 2017. 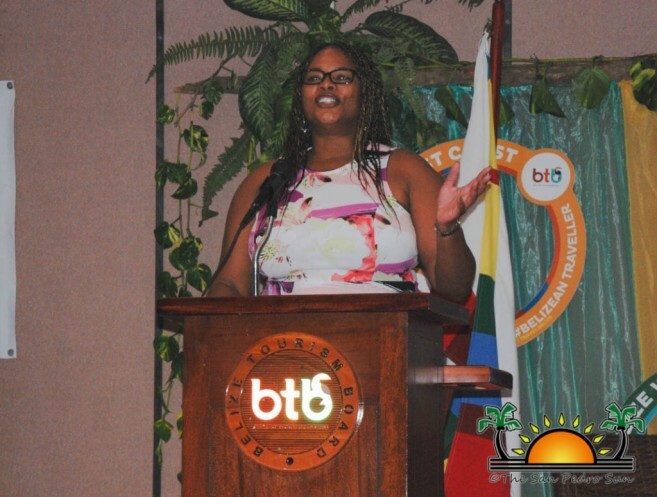 With Karen Bevans, Director of Tourism at BTB, acting as the moderator, she introduced the last three panelists on stage: Minister Heredia, Chairman of the Board of Directors at BTB Einer Gomez, and CEO of Ministry of Tourism and Civil Aviation, Yashin Dujon. A brief question and answer segment was held following the two panel discussions, whereby industry members had the opportunity to get professional advice on challenges they face within their own businesses. The Board of Directors spoke about the projects BTB has tackled this year around the district, including the launch of Destination Belize, naming a caye “Major Caye” after popular DJ Khaled, using social media to invite gold-medal Olympian Simone Biles and the other USA’s final five, approved funds to upgrade lighting systems at the airports, working with health facilities to monitor illnesses in order to track trends like vector-borne diseases, minimum standards for hotels, and building the Belize sign monuments. Karen Pike then gave the closing remarks, assuring stakeholders that the BTB will be dedicated to improving tourism techniques and continue the growth of the industry. BTB thanks everyone who attended the conference, and looks forward to 2017! What’s New: Pier 366 Seafood House!